The town of Oldham in Greater Manchester has several funeral homes serving over 200,000 residents. Many of these businesses offer specialist services in addition to funeral arrangements, including grief counselling, legal guidance and memorials. The recently bereaved should be able to find a funeral director that can cater for personal requirements, religious or otherwise. With almost 60 per cent of residents following Christianity, most funeral directors in Oldham offer services that cater to specific denominations such as Catholic and Anglican. Non-religious funeral services are available, with many funeral directors experienced in providing secular or Humanist funerals. Selected businesses also have specialist services such as burial at sea and military funerals for clients who need them. Oldham funeral directors also cater to many other faiths practised in the town, such as Judaism, Hinduism, Sikhism, Buddhism and Islam. There are five synagogues within the town, including Yeshurun Hebrew Congregation on Coniston Road and the Menorah Synagogue on Altrincham Road. Islamic religious ceremonies can be held in any of the town’s 20 mosques, including the Madina Mosque and Islamic Centre on Clydesdale Street and Oldham Central Mosque and Islamic Centre on Featherstall Road. 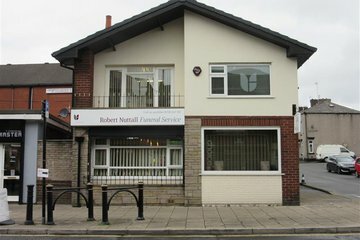 Funeral directors in Oldham have access to seven council cemeteries with a range of burial options. Oldham Crematorium is the only municipal crematorium available, located to the south of the town, near the M60. Search now using your postcode or area to find local funeral directors in Oldham. You can then order results by best rated, most reviewed or nearest to you to compare the services available in your local area. Click on a funeral director’s profile to learn more, read independent customer reviews, and find out how to contact them to discuss funeral arrangements for your loved one.